LOS ANGELES, Jan. 18, 2017 /PRNewswire/ -- Three Jerks Jerky, the only 100% filet mignon beef jerky, partners with Soy Vay®, purveyors of fine Asian sauces & marinades with a Kosher twist, to create their sixth mind-blowing flavor, Veri Veri Teriyaki®. This is the first time the award-winning sauce has left the bottle to team with another food brand. 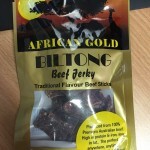 The Veri Veri Teriyaki® jerky flavor, like all Three Jerks products, is created with the finest cuts of filet, contains no artificial ingredients and is gluten free. Three Jerks co-founders Daniel Fogelson and Jordan Barrocas will launch Veri Veri Teriyaki® on Kickstarter offering an opportunity to taste the new flavor first, receive special offers and snag limited edition merchandise, including a premiere package with a personalized message from Shark Daymond John: www.bit.ly/threejerks. 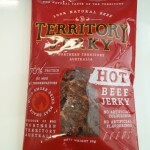 The Jerks originally launched their brand of premium jerky on Kickstarter and will match 5% of the proceeds from this campaign to back other innovative start-ups on the crowd funding site. Following the campaign, Veri Veri Teriyaki® will be available on http://www.threejerksjerky.com for $9.99 and premium retailers across the U.S.
"For a long time, we've been 'kicking' around the idea of returning to Kickstarter, the platform that gave us our launch, with a special offering. Our Veri Veri Teriyaki® flavor release not only marks the convergence of two awesome companies, but our opportunity to return to Kickstarter and give back to the community that helped us launch our business. We are looking forward to a successful campaign and matching 5% of what we raise for contributions to back other promising entrepreneurs," Three Jerks Jerky co-founder Jordan Barrocas. "Veri Veri Teriyaki® is the best-selling Asian marinade in the U.S. and it's great on pretty much everything, so it's only natural we found a new way for people to enjoy it," said Adam Simons, General Manager at Soy Vay. "Our partnership with Three Jerks Jerky fits perfectly with our focus on fine ingredients and great taste." Soy Vay® Veri Veri Teriyaki® flavor will join Three Jerks Jerky's roster of distinctly unique, always soft, never tough, beef jerky: Original, Memphis BBQ, Chipotle Adobo, Maple Bourbon Churro and I Can't Believe It's Not Hamburger ($9.99) as well as recently launched Filet Mignon and Pork Belly Blend premium burgers ($79.99). 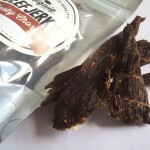 ABOUT THREE JERKS JERKY Three Jerks Jerky is the culmination of best friends Jordan Barrocas and Daniel Fogelson's vision to bring flavor and culinary class to the jerky industry. Three Jerks Jerky & Burgers only utilize the finest and most premium, all-natural cuts of meat to create delicious products free of MSG, gluten, and preservatives. "The Jerks" appeared on the Emmy Award winning series "Shark Tank," earning a $100,000 investment from Shark, Daymond John. Visit www.threejerksjerky.com and follow Three Jerks on Instagram/Twitter @ThreeJerksJerky and on Facebook www.facebook.com/ThreeJerksJerky/. Please visit www.bit.ly/threejerks to support new Veri Veri Teriyaki on Kickstarter. ABOUT SOY VAY Founded in 1982 by an Asian girl and Jewish boy, Soy Vay believes the best things happen when unexpected things come together. With popular Asian flavors like Teriyaki and Hoisin, all with a Kosher twist, today Soy Vay offers a variety of sauces, marinades, dressings, rice and noodle mixes, and most recently snacks. Soy Vay products are made with only the finest ingredients and contain no artificial ingredients or preservatives. Find Soy Vay products in the marinade or Asian aisle of your local grocery store, or online at www.SoyVay.com.